For everything that happens in the world there is a protocol and that includes when it comes to demons. 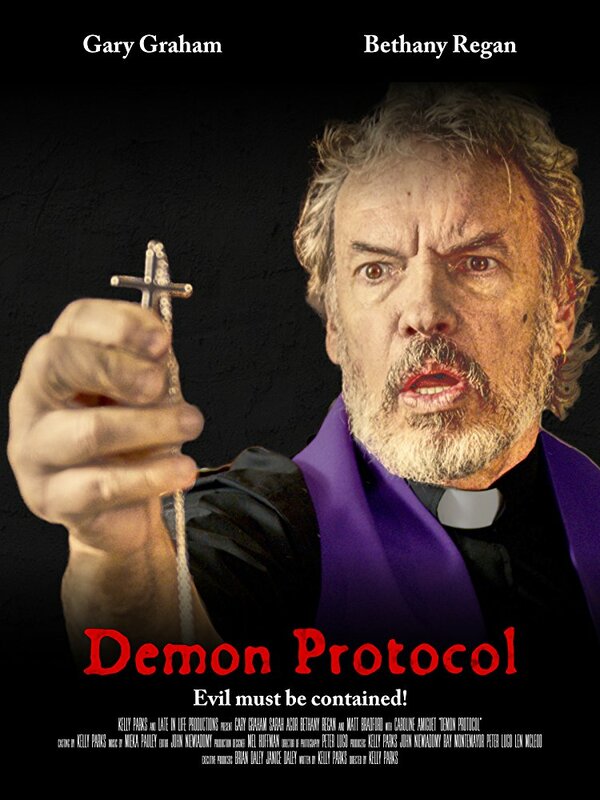 In this fast paced 60 minute movie a team from a shadowy religious group known only as the order, come to help out a couple who's house has been terrorized by the evil. The group fronted by Father Prester J. Bedford (played by ALIEN NATION t.v. series regular Gary Graham) who is a priest like none you have seen before. Along with his young comrades they hope to expel the evil from the house, but when the exorcism goes horribly wrong they must now figure out who the demon has possessed. Cue bullets flying as fingers get pointed but who is the real evil in this situation? This one hour movie is a fun, quick action packed movie with an easy to follow story, with a nice use of space and quick editing. Everyone involved looks like they are enjoying their roles which helps with the enjoyment of the movie. Don't expect to see elaborate sfx when the demon comes out to play, but enjoy the low budget greatness that is shown before you. Overall if you have an hour to kill then DEMON PROTOCOL is the film you should watch, you won't be disappointed and if you are.....you must already be possessed by the demon!